Foreword by Julie Holland, M.D. 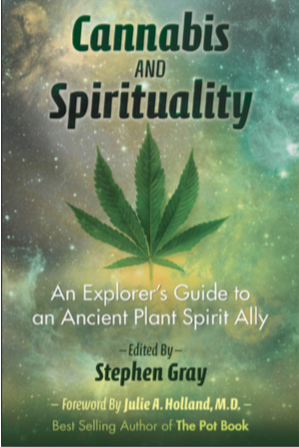 • Explores the use of marijuana in a wide range of spiritual practices, including meditation, yoga, chanting, visualization, shamanism, group ceremonies, work with other entheogens, and as a creative aid. Cannabis and Spirituality has been published now as of December 2016 and can be purchased at bookstores everywhere as well as ordered online. Before you leave the page today, don’t forget to subscribe to our Blog to receive a generous and ongoing supply of words of wisdom, nuggets of knowledge, and occasional pockets of playfulness.